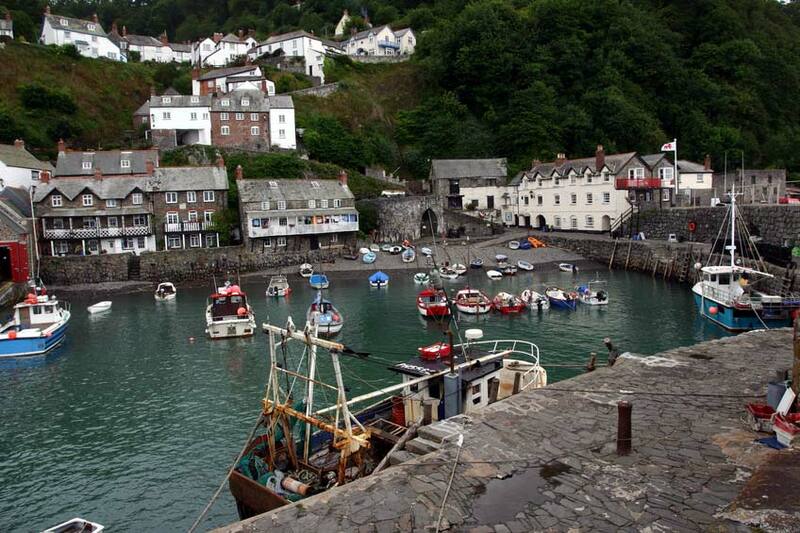 Set into a steep hillside, Clovelly is one of the best known and most unusual villages in the North Devon. 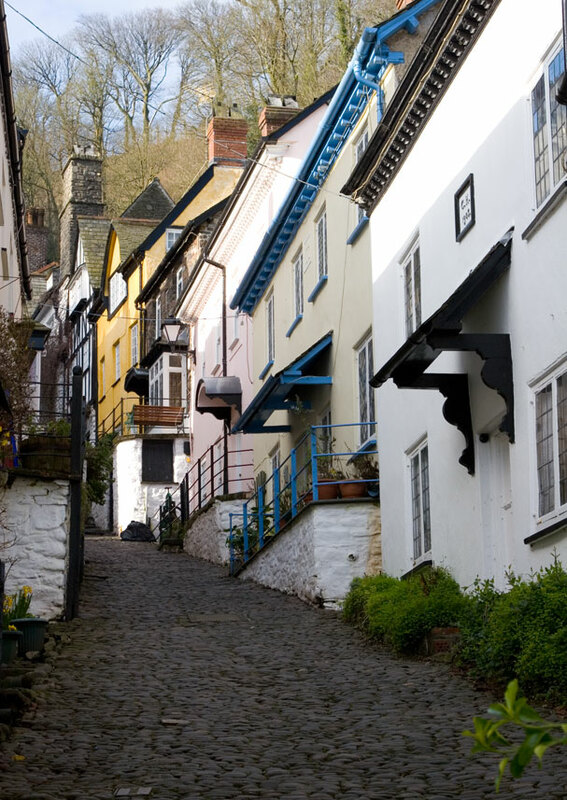 The cobbled high street winds its way down the hillside through traditional 16th century whitewashed cottages decked with fuchsias and geraniums. This street drops 400ft in the half mile down to the small harbour. Visitors have to park at the top of the hill next to the Heritage Centre as traffic is banned from the high street. There is a Land Rover service which ferries visitors up and down via a back road, for those not wishing to negotiate the steep hill on foot. This service takes visitors as far as the Red Lion beside the harbour. At one time, donkeys used to be used to take visiting tourists down into the village, but these have now been retired. All deliveries for people living in Clovelly have to be taken down the hill by sledge. These sledges can be seen at the side of the cottages by anyone walking down through the village towards the harbour. This ban on traffic has preserved the atmosphere of the village. The lower part of the village has been saved from development by the Hamlyn family, the local landowners. There are no holiday cottages allowed in the main village and no concessions to the tourist industry. Consequently, the picture postcard village is still a living village, where fishermen still mend their nets on the quay. 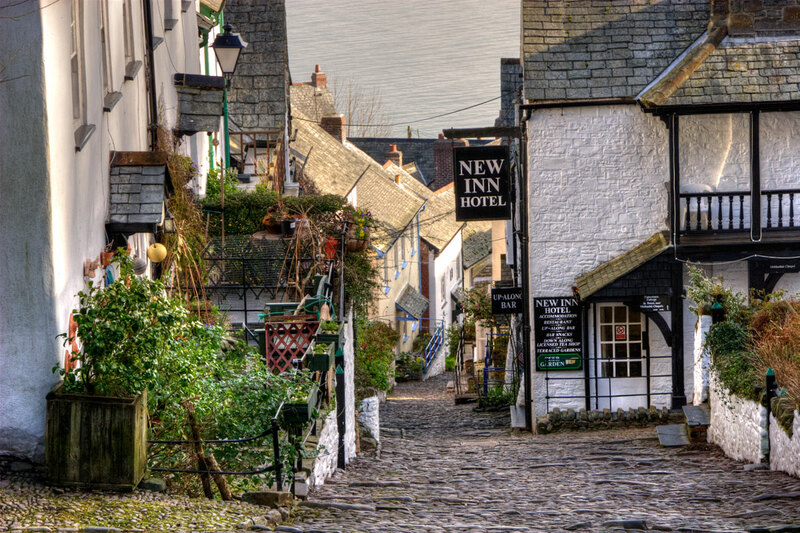 Although the village had been a settlement for many years before, it was George Cary, a 16th century lawyer, who established Clovelly as a viable community. Cary built the stone quay and thus established the only safe harbour between Boscastle in Cornwall and Appledore higher up the North Devon coast. The small harbour once sheltered up to sixty fishing boats but this has now dwindled to a handful of small boats due to the decline of the herring fishery. West from Clovelly, the North Devon Coast Path leads, past various coastal follies with incredible views, down to Mouth Mill. 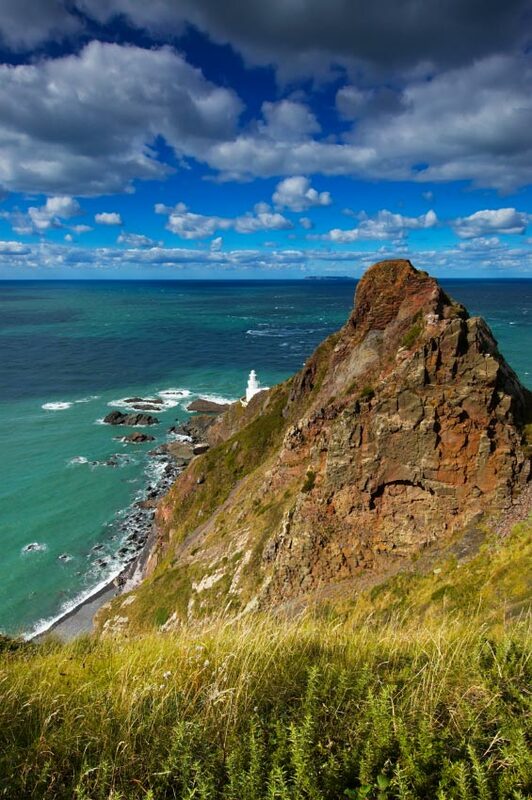 The path then climbs again and remains high all the way to Hartland Point. This is quite a long walk, about eight miles from Clovelly, but a worthwhile excursion. Further along is Hartland Quay, a place where a once busy harbour was totally demolished by the Atlantic breakers. The Hartland Quay Museum is close to the original site of the harbour, and there are other facilities here for the tourist.